Running / Fantastic Long Run! As I mentioned previously, going back to work has made it a bit more difficult to get my feet on the street this past week. I didn’t log nearly as much as I’d hoped for runs on the weekdays. But I think I’m good because I made up for it with today’s long run! I started off my long run today & decided just to run for 2 hours rather than run for a set number of miles. I hoped to get close to 10 miles run and in the end, I was very pleased. I ran 9.5 miles in 2:01:20! The best part of it… 5 minutes into my run, I came across Larry. He ran with me for 8.5 miles of it, cheering/goading/encouraging me on for part of it. As always, we chatted non-stop the entire time and the time just flew by. He was so sweet, he even insisted that I take a few gulps of his Arizona tea when we stopped for his refuel break. He had already been out for 2.5 hours when I saw him, so he was long overdue for that break. As we ran & chatted, I was surprised by the number of runners & cyclists that gave him a shout out as we passed each other. Sure, he’s a very well known figure locally, but today had to have been the busiest day yet for hearing folks calling out his name in hello as they went by us. Of course, I think today was the busiest I’ve ever seen the Trail that I can remember as well. What really impressed me today was the fact that I managed to not only get in a solid long run, but I also got home & mowed the lawn while I was reeking. All of this on only 4 hours of sleep, I might add! 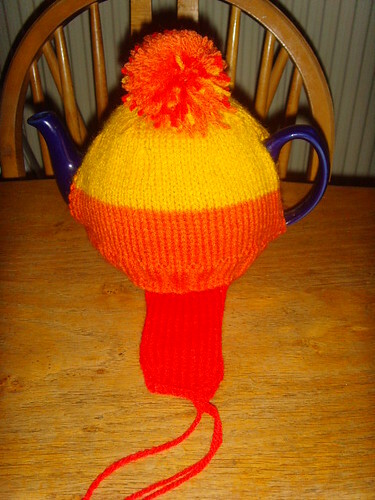 This blog post has taken me twice as long as usual due to the fact that I kept dozing off while adding the pictures… ROFL! I picked up my Blues shawl again, hoping to get it close to done as well. 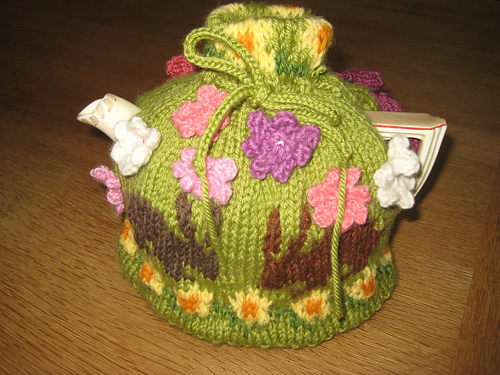 I’m knitting it from this really gorgeous handpainted yarn that my friend Monica gave me for my birthday. It’s so pretty that I knew it had to be a shawl rather than socks. :) I can’t wait to finish it so I can show it off! 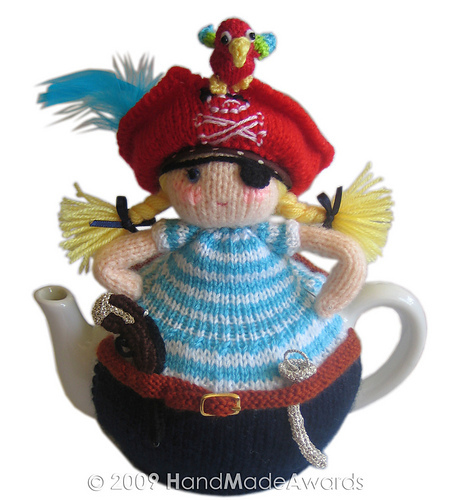 Arrrgghh, me mateys! 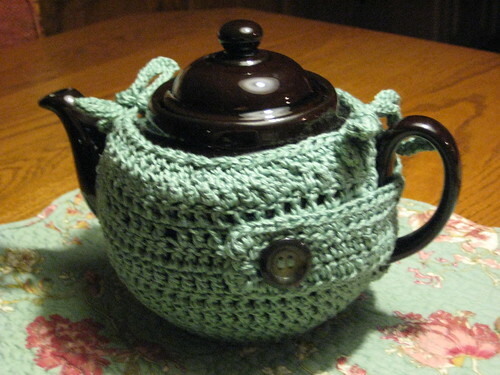 Just how freaking adorable is this tea cozy?!? 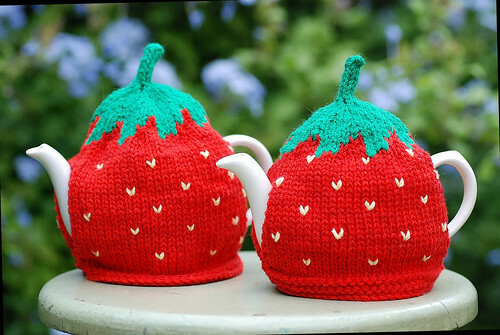 This designer has some seriously AWESOME tea cozy patterns. ROFL!! I can tell already, this post is going to be one of my faves just because of fun patterns like this one! 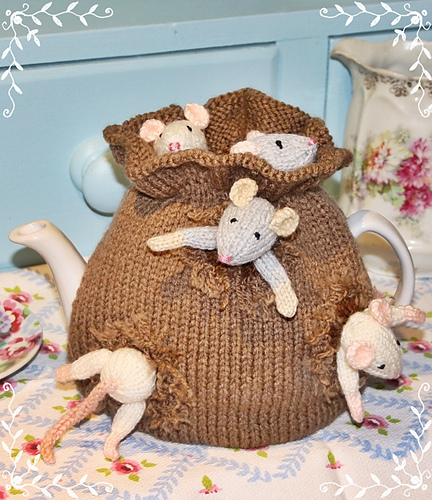 Coffee or tea pincushions! CUTE! 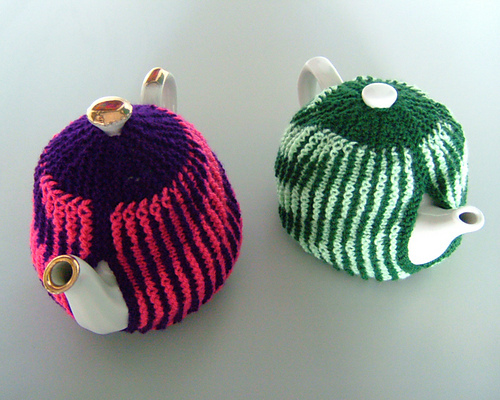 Illusion tea cozies - clever! Steve Plummer is awesome with the illusion. 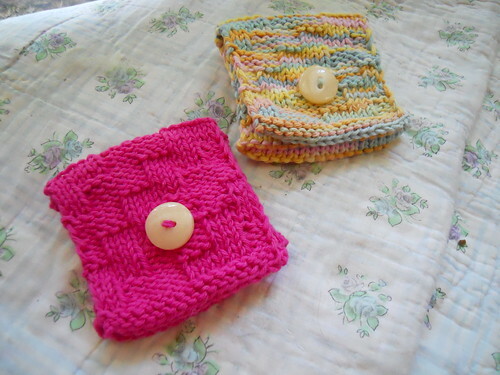 * I'm actually surprised this one doesn't have more projects, it very pretty! * Cute! I adore vintage patterns. * Simple & masculine - nice!! Clean, classic & easy! I like this one. 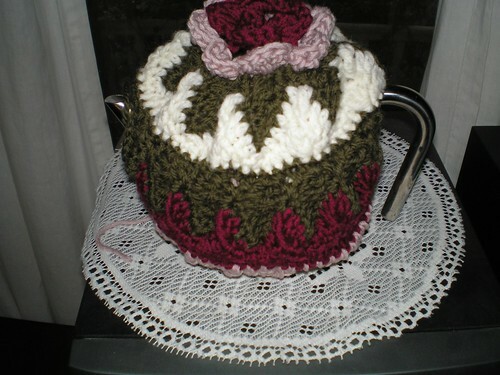 * Grandma's Traditional Tea Cozy! Can't go wrong with this one, seriously. * Strawberry! I love it, too cute! So pretty! 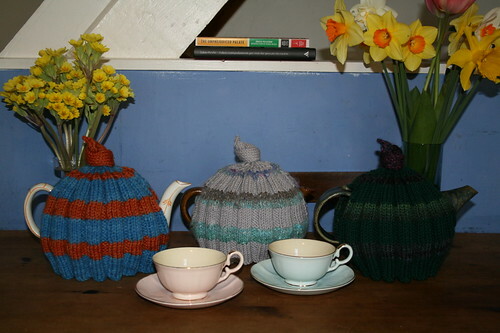 Might be harder to find the pattern, but it was too pretty not to include! 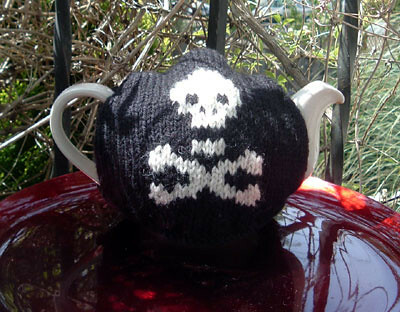 * For the goth or pirate tea drinker! ;) Or a fun one for Halloween! * Giggle... police car cozy! Awesome! 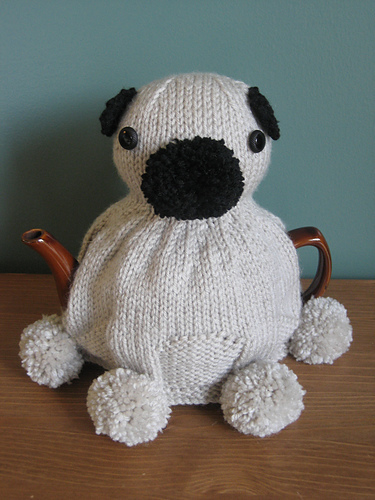 * I love most projects that combine knitting & crochet, truth be told. I really like this one! 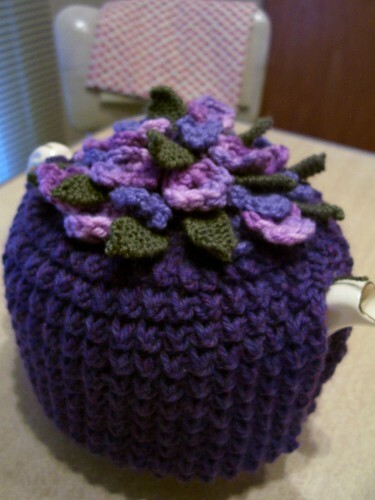 * This tea cozy has been in my faves almost as long as I've been on Ravelry! I love it. * I really love this one! 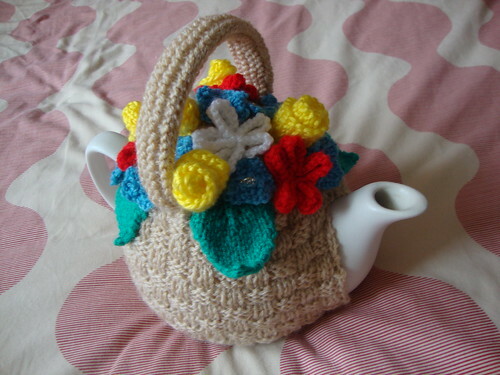 I bet it is fun to make, too. 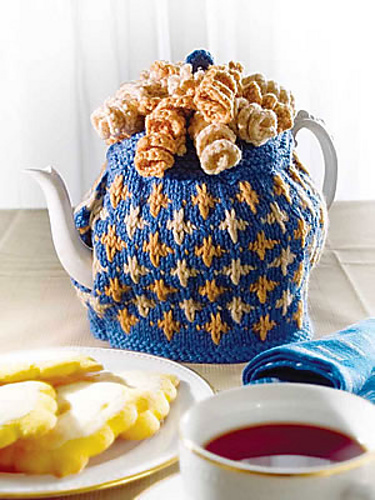 This entry was posted in Running and tagged Free Patterns, Knitting, Running, tea cozies, Today's Ravelry Search. Bookmark the permalink. 5 Responses to Fantastic Long Run! 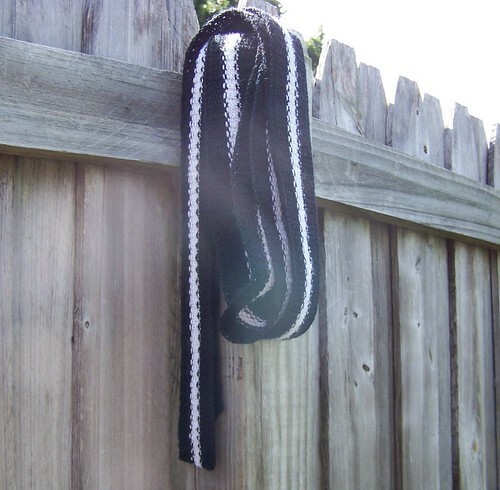 love the scarf for the manlet! Good job on the long run! woot! 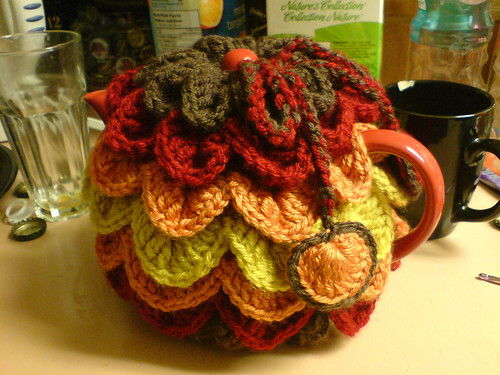 :D I was really impressed with how many tea cozy patterns there were!